WATER – IN ITS VAST eternity – reaches the infinite within us, connecting the single entity into a whole. One drop within a body of water expands to the entirety of the sea; birth, flooding, drowning. Life and death are held within the liquid mass of water, and can deliver us back to the beginning of it all. Through water, we are held within ourselves, and we project our own image onto it. We find ourselves seduced by the sub-conscious dream, only here does our body allow us to meditate on our void; shifting attention from the outside world and creating a space for healing, transformation and rebirth. The immersive qualities of the earthly elements embody and saturate us wholly. 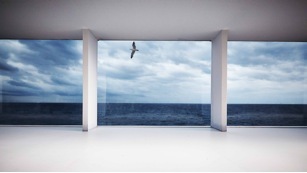 ‘The external spectacle helps intimate grandeur unfold’1 wrote the philosopher Gaston Bachelard. To take notice of our perceptions, let them rush in, blow over us, is a post-modern ritual, replacing ancient and religious modes of delivery: cleansing and healing. In consuming a spectacle, our senses are engaged. In this experience, we project our image, suspending it in space, meditating on our own void. 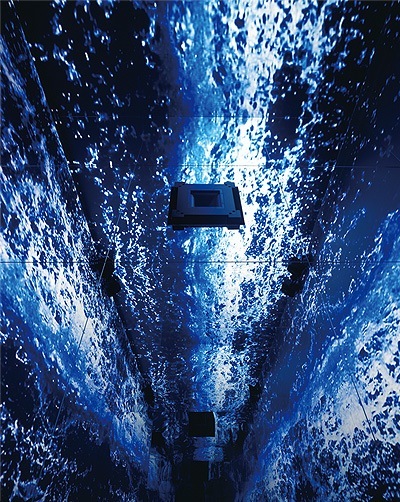 In search of answers, we turn to spectacles that captivate our senses: art, theatre, fashion and cinema. 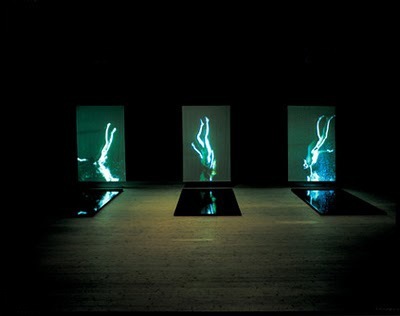 Bill Viola, ‘The Crossing’, video/sound installation, photograph by David Heald, 1996. 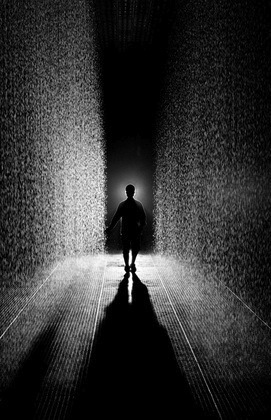 Random International, ‘Rain Room’, 2012. Alexander McQueen, ‘Plato’s Atlantis’, spring/summer, 2010. Christian Dior, Cruise, 2014, photograph courtesy of Bureau Betak. 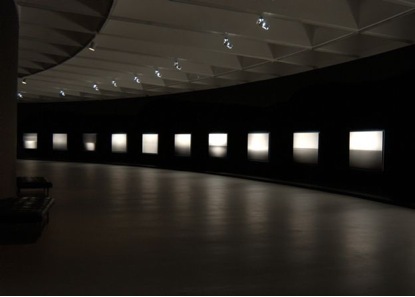 Hiroshi Sugimoto, ‘Seascapes’, 2006, installation view at the Hirshhorn Museum and Sculpture Garden, Washington, US. 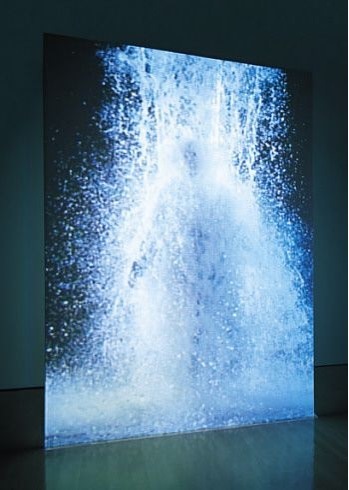 Bill Viola, ‘The Messenger’, 1986. 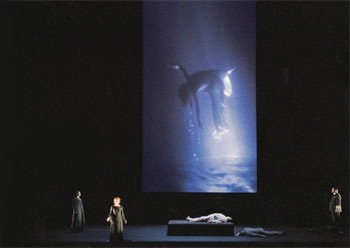 Peter Sellars’ production of Richard Wagner’s, ‘Tristan und Isolde’, 2004, installation view at Opéra National de Paris, featuring a video by Bill Viola.